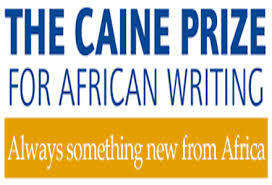 The Caine Prize for African Literature received a record breaking number of entries which included 166 short stories from writers representing 23 African countries. The 2016 judges, who were announced in London last month, are billed to meet in early May to decide on the shortlisted stories, which will be announced shortly thereafter. Leading the panel of judges this year will be distinguished author and broadcaster Delia Jarrett-Macauley. She will be joined by the acclaimed film, television and theatre actor, Adjoa Andoh; the writer and founding member of the Nairobi based writers’ collective, Storymoja, and founder of the Storymoja Festival, Muthoni Garland. Also on the panel are Associate Professor and Director of African American Studies at Georgetown University, Washington DC, Dr. Robert J Patterson and South African writer and 2006 Caine Prize winner, Mary Watson. The 2015 edition won by “The Sack” and written by Zambian Namwali Serpell has been included in the Caine Prize 2015 anthology Lusaka Punk, which includes all shortlisted stories and others.